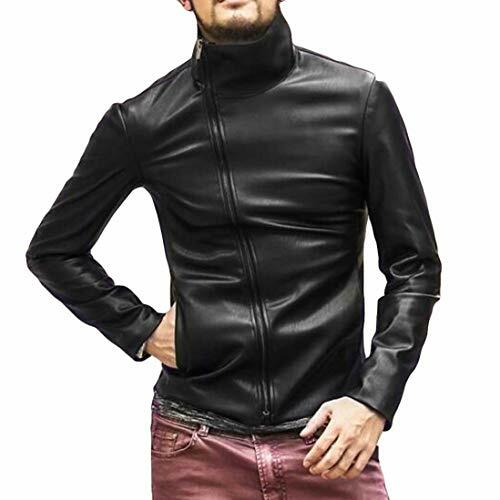 Zainafacai Men's Coat, Slim Fit Faux Leather Jacket Motorcycle Bomber Stand Collar Outwear (Black, L) by Zainafacai at Right Clearing. Hurry! Limited time offer. Offer valid only while supplies last. ❤️We have different styles of fashion clothing, welcome to Search for OUR Store----" Zainafacai". From New Blouse Coat/hooded sweatshirts to long/short sleeve T-shirts, all are available. If you have any questions about this product by Zainafacai, contact us by completing and submitting the form below. If you are looking for a specif part number, please include it with your message.